An ancient Chinese proverb says that “every smile makes you a day younger.” But what if some specific flaw – like missing teeth, chips, gaps or discoloration – forces you to feel as if you have to hide your smile from the world? 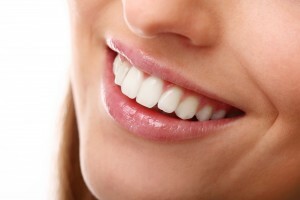 At Smile Creations in Massapequa Park, NY, Dr. Allan S. Mohr transforms less-than-perfect teeth and gums using only the latest innovations available in the industry, ensuring that each of his cosmetic full-mouth reconstruction procedures shines as brightly as his patients’ personalities. 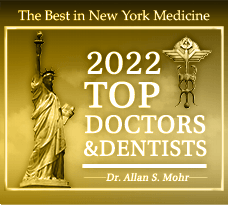 With nearly 30 years of experience in the field of cosmetic and restorative dentistry, Dr. Mohr knows that there’s no such thing as a one-size-fits-all solution to his patients’ oral health concerns. That’s why the foundation of his Massapequa Park practice is based upon a commitment to sincere, one-on-one care and personalized treatment. When you arrive for your full mouth cosmetics consultation, Dr. Mohr will begin by making sure that you feel comfortable and informed from the very start. This is the beginning of your personal journey toward a healthy, happy and confident new smile, so we keep you involved in every step of the process. 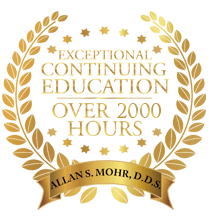 Whether it’s transforming a broken smile with multiple dental implants and porcelain crowns or restoring a healthy, youthful appearance with porcelain veneers and periodontal therapy, Dr. Mohr’s extensive experience and expertise are fully evident in each of his patients’ results. If you’re tired of hiding your smile from the world and you’re ready to take the first step toward a healthier, more beautiful you, contact our Massapequa Park, NY office today. 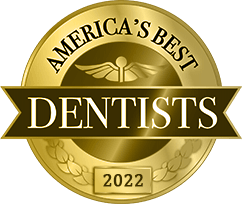 Dr. Mohr and his caring staff can’t wait to show you how full mouth cosmetic procedures can finally give you the attractive, lustrous smile of your dreams. 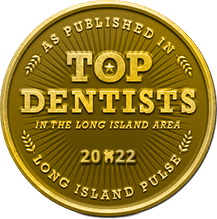 We also happily welcome patients from Seaford, Lindenhurst, Wantagh, Farmingdale and the surrounding areas. Call today to schedule your first appointment! by: allanmohr at January 31, 2014 .